Learn about a unique LEED v4 for Neighborhood Development project. The LEED v4 Stories article series features the people the behind diverse LEED v4 projects. Project team members and project owners tell of their experiences—both the wins and the challenges. Kashiwa-no-ha Smart City is home to the University of Tokyo, Chiba University and national research institution campuses. As part of the Kashiwa-no-ha International Campus Town Initiative, the goal is to build a city on this foundation that is integrated with the environment, promotes long and healthy lives and cultivates industrial innovation. This process has a unique synergy with the goals of LEED v4 for Neighborhood Development and used LEED ND as a framework to guide the decision-making processes and set qualitative and quantitative goals for implementation. The design team at ZGF Architects LLP included Charles Kelley (AIA, principal), Yoshi Watanabe (AIA, associate partner) and Ashleigh Fischer (designer). What were the biggest differences you experienced in LEED v4? The biggest difference is that there are separate Plan and Built certifications. LEED v4 ND is also updated to more current standards (e.g., ASHRAE 2010 in lieu of ASHRAE 2007), which better aligns with current industry thinking, codes and standards. What is the coolest credit in LEED v4 ND? Neighborhood Pattern and Design (NPD) Credit: Community Outreach and Involvement. If the community is not involved and engaged with the collective vision for the district, then the district will not meet its full potential. In particular, our community outreach involved a series of workshops and ongoing programs with a variety of stakeholder groups including residents, employees and property owners. How did the credits and prerequisites and credits influence the project design? There were a number of particularly influential credits. Walkable Streets required the development of guidelines for sidewalk width, building set-back and active ground floor use, which is essential to a vibrant community. Compact Development led to increased emphasis on high floor-area ratio (FAR) and density, which complements activities on the ground floor. Connected and Open Community increased the emphasis on intersection density, which reinforces connection nodes and activity at the ground floor. Tree-lined and Shaded Streetscapes provided specific and quantified requirements for street tree placement. Because water is not a scarce local resource (so residents are not naturally accustomed to having to save water), specific requirements around plumbing fixtures and water reuse were important for the Indoor Water Use Reduction credit. And with the site’s more than 60 inches of rain per year, the team developed guidelines around stormwater management to encourage the use of water features to activate spaces for Rainwater Management. Any tips for other project teams? LEED ND works as a strong, comprehensive guideline for good urban design and can help guide the decision-making process if leveraged appropriately. 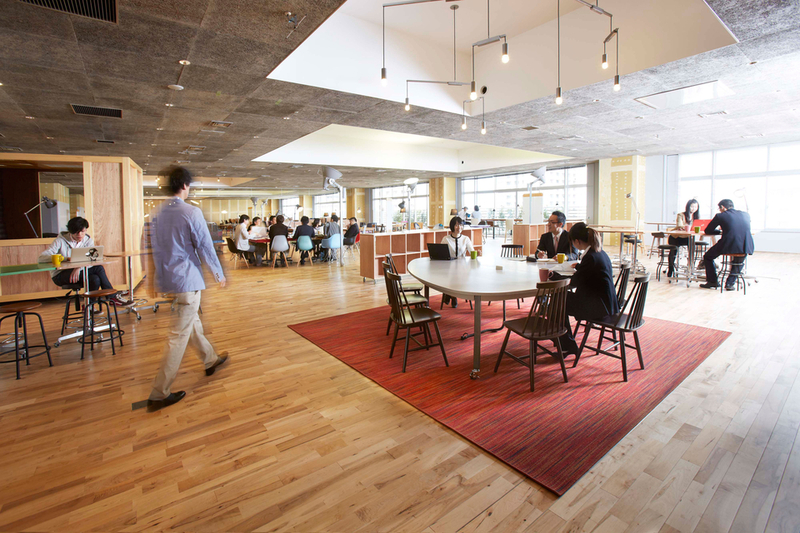 As the sharing economy continues to develop, building codes increase energy and water use regulations, and people move to more urban areas, LEED ND is essential for ensuring vibrant, active and sustainable communities. LEED has a great global following, but some people still see it as a U.S. standard. What would you say to people who want to use LEED outside of the States? LEED can be used in an international context. Although some LEED credits are written around U.S.-based standards and ideas, our team found it helpful to focus on the credit intent rather than the specific requirements, in certain instances. 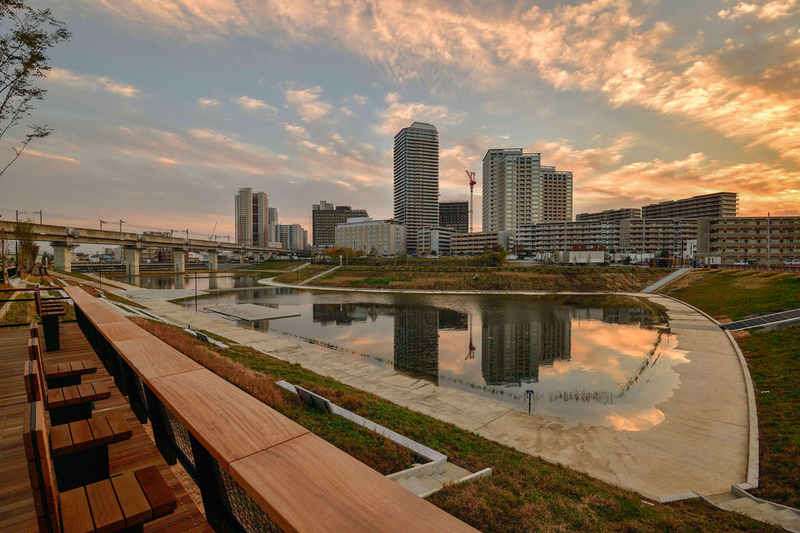 As part of our work in Japan, we learned many things that can be translated back to the U.S., and we brought U.S.-style urban development and smart city placemaking to Japan. This exchange of ideas supported the project’s LEED ND goals. How are you preparing for LEED ND: Built certification? 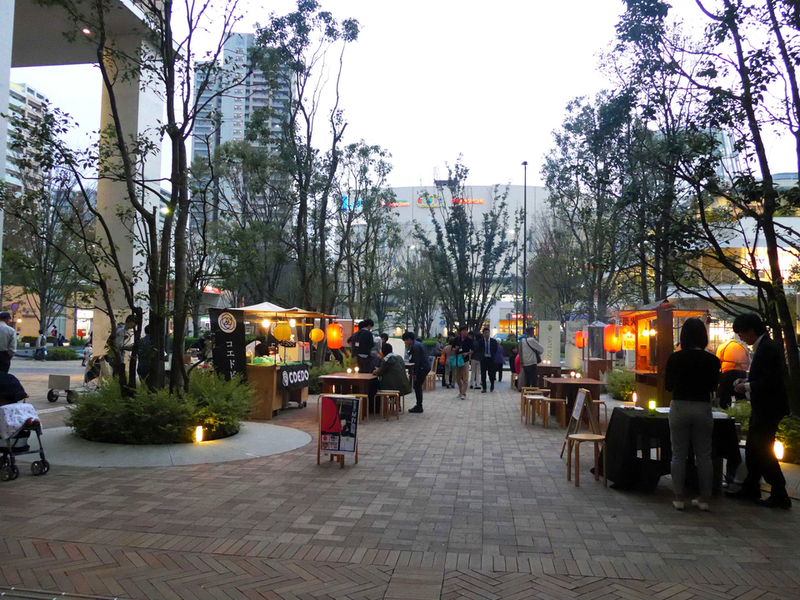 To use and manage the neighborhood facilities effectively, a community-based organization called Urban Design Center Kashiwa-no-ha (UDCK) was established. Its function is to promote community engagement, research innovative problem-solving ideas and coordinate maintenance. In addition to hosting and offering regular events and salons to strengthen and build the community, UDCK is also responsible for the stewardship of the collective vision for this district. This includes acting as a conduit to connect key stakeholders as well as overseeing the development of the LEED ND Site and Building Performance Guidelines as buildings are designed, built and operated.